Meirionnydd Running Club - home page. Clwb Rhedeg MEIRIONNYDD Running Club. Ein rasus / Our races. replaced in 2013 by Trail race. Ras Tarren Hendre Fell Race. The second race in the Meirionnydd - Winter Race Series. 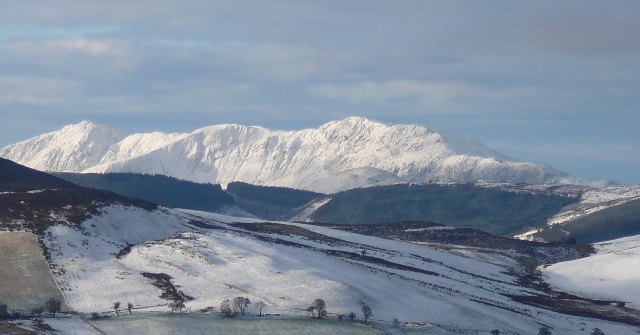 The lower reaches of the race are run on a mixture of well marked tracks and footpaths, but the open fells above are unmarked. The high mountain terrain can be featureless and is susceptible to varied and often adverse weather conditions. Navigational skills may be necessary. Minimum age 16 years, and the Entry limit is 250. All competitors must carry wind/waterproof full body cover, map, compass and whistle. Sorry, no Dogs. 2004 / 2005 / 2006 / 2007 /	2008 / 2009 / 2010 /	2011 / 2012 / 2013. / 2014 (not full route). / 2015. / 2016. / 2017./ 2018. / 2019. Meirionnydd Running Club winter race series. The Series comprises the three Meirionnydd organised Winter fell races Rhobell fawr, Tarren hendre and Ras yr Aran. The total time form all three races are combined and the winner is the person with the fastest time. Winter series Hall of Fame: here. 2013-14 Ras yr Aran Cancelled due to Snow - no full series. 2013-14 / 2014/15 / 2015/16. / 2016/17. / 2017/18. Ras yr Aran Fell Race. The third and final race in the Meirionnydd - Winter Race Series. 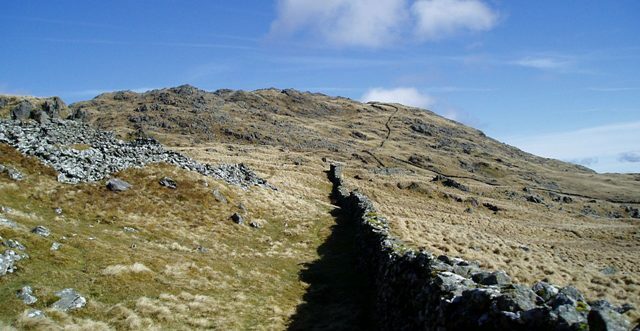 The lower reaches of the race are run on a mixture of well marked tracks and footpaths, but the open fells above are unmarked. The high mountain terrain can be featureless and is susceptible to varied and often adverse weather conditions. Navigational skills may be necessary. Minimum age 18 years. Entry limit 250. All competitors must carry wind/waterproof full body cover, map, compass and whistle. Start 1300. Registration is in the Village Hall, Llanuwchllyn, Nr.Bala. Location here. 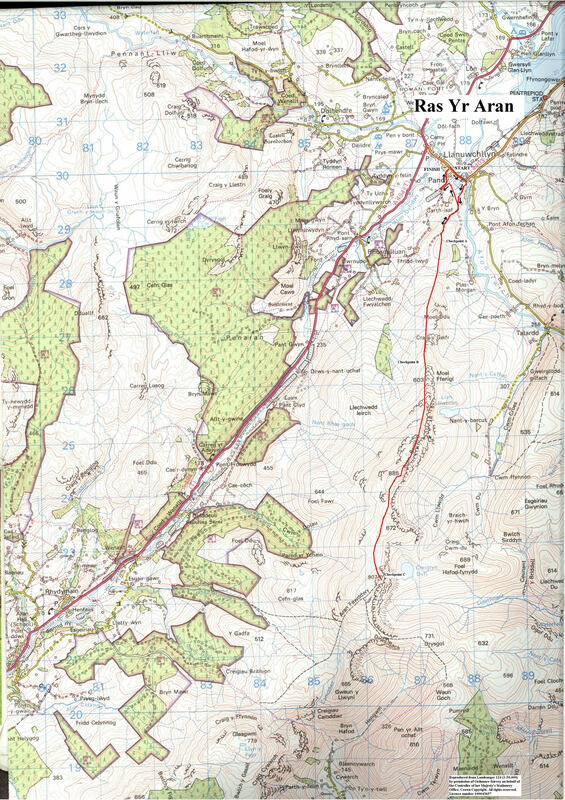 The race covers a distance of approx 10 miles, from Llanwchllyn village hall (170m) to the summit of Aran Fawddwy (905m), and returns by the same route, with a small detour at the end to the finish line. The race leaves the village hall (SH876300) heading up the main road to bear right just before the bridge and continues up a farm road (SH879298). The route bears right through a gate (SH878293) just after the cattle grid and proceeds across a series of enclosed farm fields to a junction at (SH875287), turn left up the steep slope to a gap in the wall on the skyline. Now follow the ridge Southwards following the fence line, crossing fences/walls where required using the stiles provided. 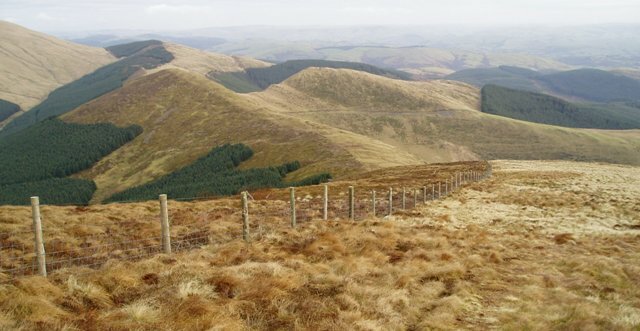 The route crosses the side of Moel Ddu(474m), and climbs up to the marshalled checkpoint (SH872262) at the stile on Moel Ffenigl (603m). The race route continues to follow the fence line and ridge Southwards, passing Llyn Pen Aran (SH868246), crossing the summit of Aran Benllyn (885m) with a short descent before crossing a fence line at a double stile to take the final short sharp rocky ascent to the marshalled checkpoint on the summit of Aran Fawddwy itself (905m) (SH863224). The return leg is a reversal of the ascent until just after the cattle grid, bear left here (SH878295) and cross the fields below by a series of styles to the old railway line (SH877297). Bear left then right onto another farm road (SH876296) and follow this to the finish just opposite the village hall (SH876300). All runners must pass the key marshalled checkpoints on the descent back to town. Marshals at the above checkpoints will have communication with race HQ in case of emergency. Water is available only at the start/finish – please carry your own supply. On no account should competitors navigate “Eastwards” from the ridge due to the high cliffs in this direction. 2004 / 2005 / 2006 / 2007 / 2008 / 2009 / 2010 /	2011 / 2012. /	2013: cancelled due to snow. / 2014. (not full route due to snow). / 2015. / 2016. / 2017. / 2018. / 2019. Dolgellau 5 mile road race. Race start, here, is a good five minute walk	from the Marian recreation ground, at the bottom of the hill leaving town by a minor road heading to Llanfachreth opposite Eurospar (a map and marshals will be available on race day). The start line is at the bottom of the steep hill leading from Dolgellau heading towards Llanfachreth. The course pulls up hill sharply from the start line before	taking the first minor road right, slightly rolling at a fairly level pitch running parallel with the A494 in the valley below. This undulating road passes through	mile one, and in a further 200 metres takes a left turn at another intersection with the minor road rising from Dolserau. The course now climbs more gradually,	gaining height over the next 600 metres to reach another junction opposite the gatehouse to the old Nanau estate. Another left turn has the road dropping back towards Dolgellau for 200 metres before crossing the carriageway and turning right heading out toward the golf course. At this point it is important to follow the instructions of the marshals as you will be crossing the flow of traffic. The road now undulates gradually down hill to the two mile mark and passes a water station at Pandy Bach. The course continues to run down hill, increasing notably	toward mile 3. Just after this mile marker is a very sharp left hand hairpin, heed the marshals advice in case traffic is oncoming. The road continues down hill, allowing almost terminal velocity to be achieved as you draw level with Cymmer Abbey on the right. At the bottom of the hill course levels out and takes a right hand turn for about 50 yards before turning back on itself towards the bypass. On reaching the by-pass turn left, running ON the footpath, and take the footpath dropping left away from the road. The course now follows the disused Dolgellau road below Dolrhyd until rejoining the minor road into town opposite the College. Again at this point it is essential to follow the instructions of the marshals as you cross from one side of the carriageway to the other. Once on the College side of the road run ON the footpath, under the old footbridge and then prepare to	take a very awkward right hand turn (marshalled) negotiating the anti-bike barrier before plunging down a steep footpath, under the under-pass, across the narrow foot bridge and turning left to majestically sprint along the Marian cycle path to the finish line on the recreation ground. On this last section please be aware of pedestrians, dogs and bikes, and remember, be careful out there. We advise runners NOT to wear headphones or listen to MP3 players whilst running. No dogs, wheeled buggies or supporting cycles will be allowed to accompany athletes during the race. 2002 / 2003 / 2004 / 2005 / 2006 / 2007 / 2008 /	2009 / 2010 / 2011 / 2012 / 2013 / 2014 / 2015. / 2016. / 2017./ 2018. 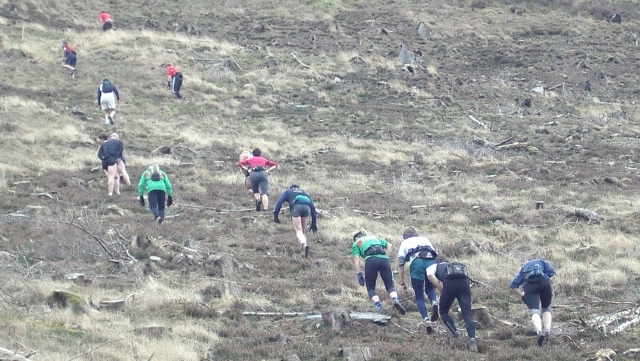 Ras Rhobell Fawr Fell Race. The first race in the Meirionnydd - Winter Race Series. 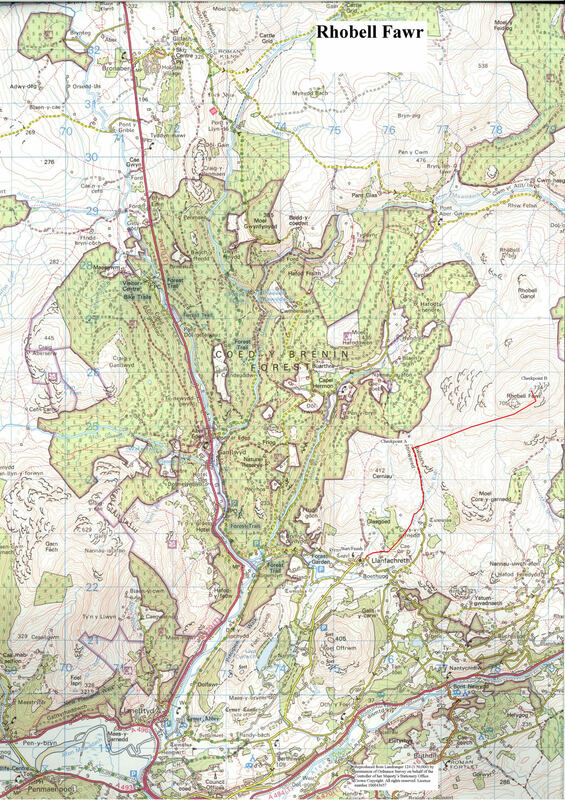 The lower reaches of the race are run on a mixture	of well marked tracks and footpaths, but the open fells above are unmarked. The high mountain terrain can be featureless and is susceptible to varied and often adverse weather conditions. Navigational skills may be necessary. 2003 /	2004 / 2005 / 2006 /	2007 / 2008 / 2009 /	2010 / 2011. / 2012 / 2013 / 2014. / 2015. / 2016. / 2017. / 2018. Cancelled until further notice - Penmaenpool Trail Race. This was a new Trail Race for 2013. Race map for the long & short races pdf here. 9 Mile Long Race. 2013 / 2014. 3 Mile Short Race. 2013 / 2014. 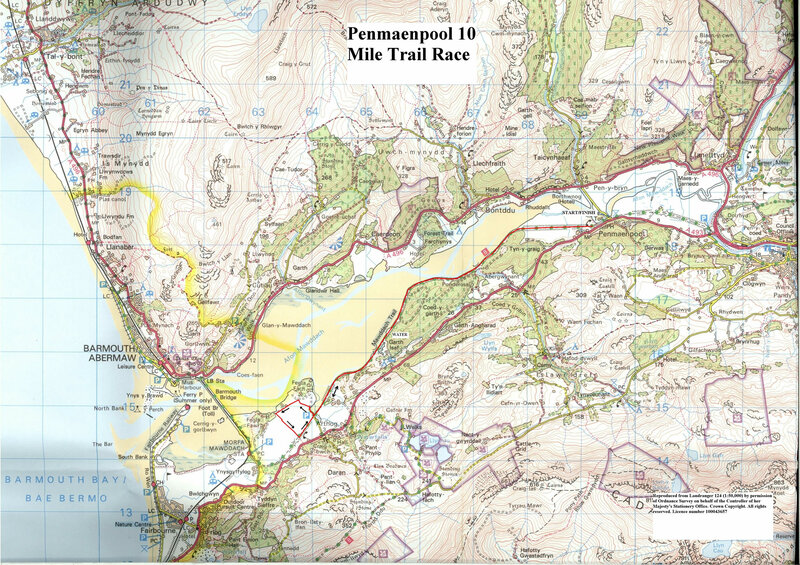 Pen 10 / Penmaenpool 10 mile race. Due to lack of interest it was decided to replace this race with a Trail Race in 2013. 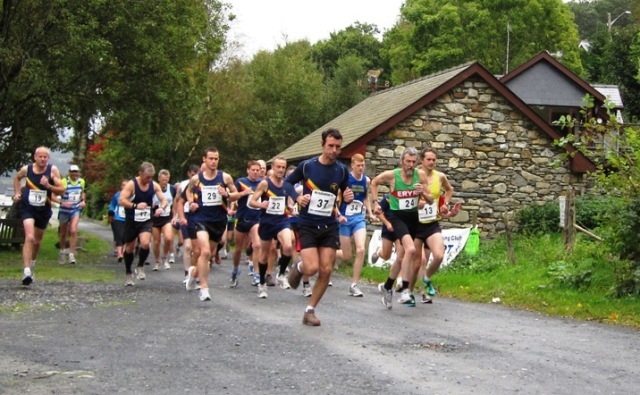 A 10 mile race on well surfaced track in the South of the Snowdonia National Park. The race follows the course of the old railway line which runs from Penmaenpool to Morfa Mawddach, now commonly referred to as the Mawddach Trail. At approx 4 miles the race leaves the railway line and follows a grassy public footpath (0.5 miles taped route) toward Fegla Fach before rejoining the Mawddach Trail for the home run. The course is VERY flat and apart from the stretch of grass path should lend itself to good speed. 2000 /	2001 / 2002 / 2003 /	2006 / 2007 / 2008 /	2009 / 2010. / 2011. / 2012.